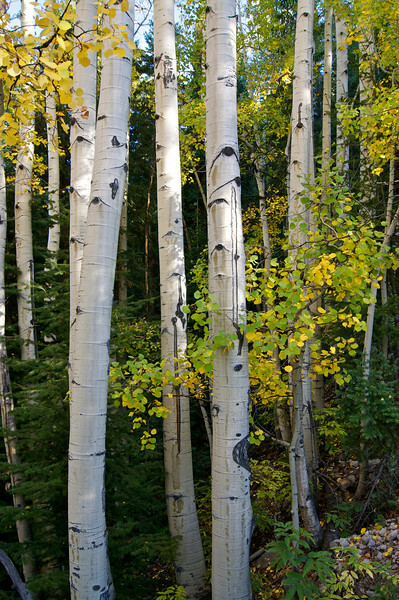 Arguably the largest organisms on earth, aspen groves, some covering over 100 acres, share a single root system. Colorado is home to more aspen groves than any other place in the world. Fall aspens in the Sawatch #3; Mount Antero trail.